Lifestyle Fitness Coaching embraces physical movement, healthy fueling, positive mindset and consistent daily habits for a life changing transformation. 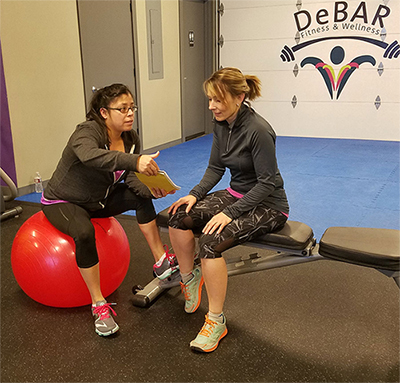 Coaching supports you with tools to set your goal, map your plan of action, and provide accountability to achieve desired results. Suzie’s definition of accountability is “A personal choice to rise above one’s circumstances and demonstrate the ownership necessary for achieving desired results”. This definition includes a mindset or attitude of continually asking, “What else can I do to rise above my circumstances and achieve the results I desire?” It requires a level of ownership that includes making, keeping and answering for personal commitments. Read more about what lifestyle fitness coaching is here. Package prices vary and are determined after consultation. Contact Suzie for a consultation.